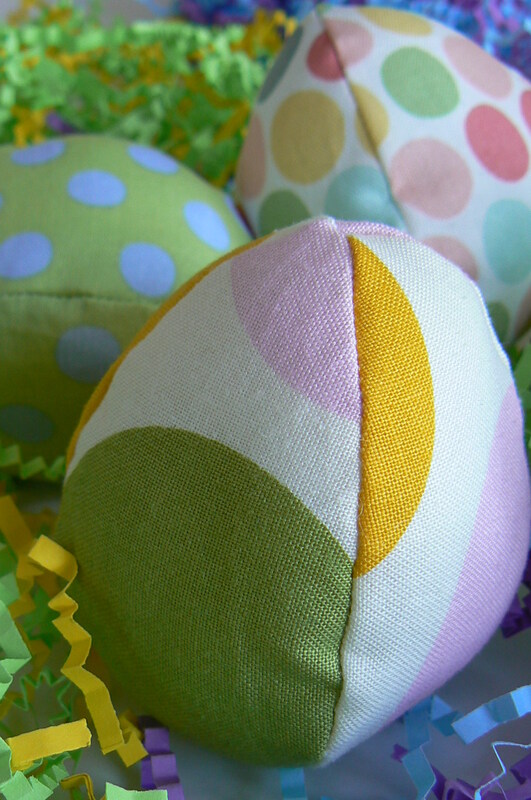 These fabric eggs–ok, in this case, lumpen footballs–come from a pattern posted by retro mama. Mind you, her eggy creations aren’t in the least lumpen, and she seems to have mastered the ladder stitch (that maddening little stitch!). If you have some fabric scraps, leftover cotton or polyfill, this is a fun, quick project with an upside: no endless egg salad. 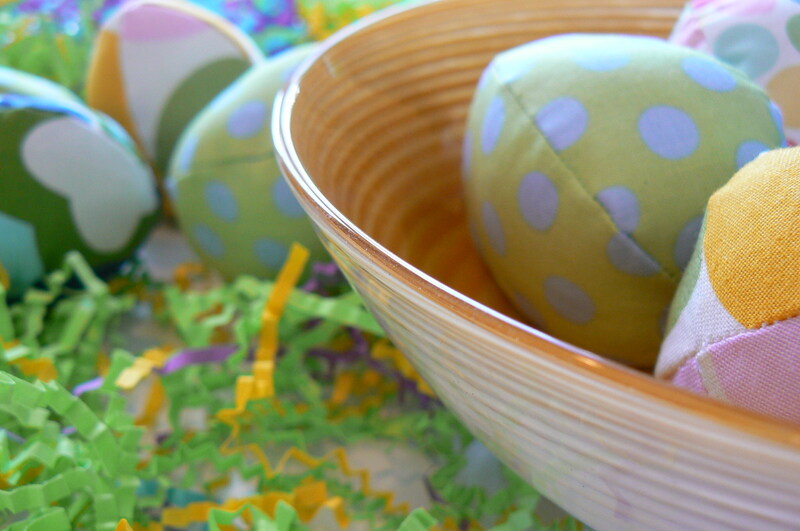 Happy chocolate bunnies and matzo ball soup, everyone! These are so much fun and look perfectly unlumpy! Love the colors and very pretty photos.